Use this calendar to select the date and time for your party. Please allow minimum two hrs for your party time and 30 minutes set up time before. Step 1. Click the <Buy Now> Button to the left to pay for your materials. Step 2. Fill out the form below with your preferences and click <Submit>. Step 3. Arrive to your party ready to create your custom piece! 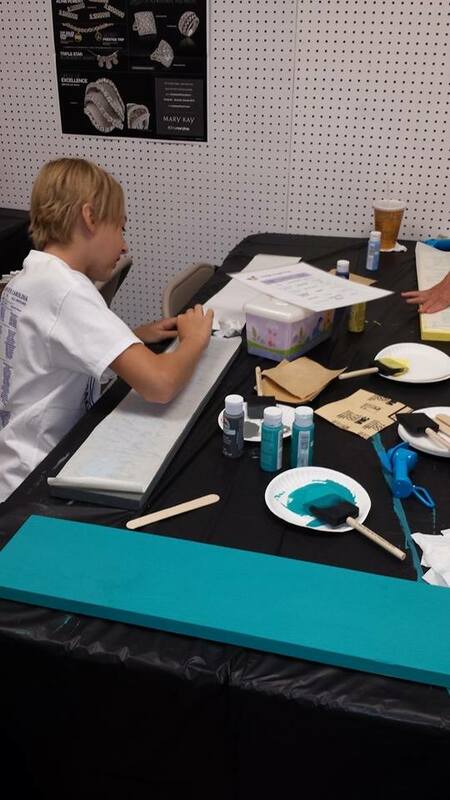 RSVP for "Sign Painting Party! Add any information that would be helpful to explain the layout and coloring of your sign. 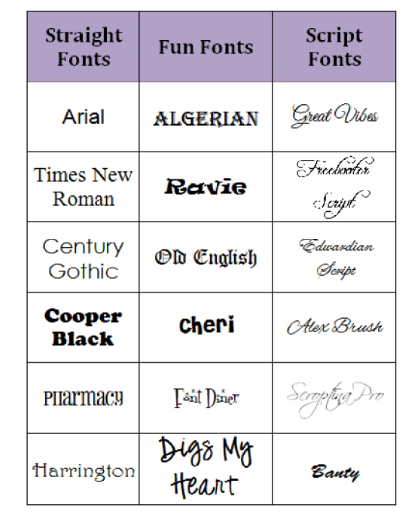 These are only a small sample of fonts available. Please let us know your preferred font choice or style in the description field.